When Plato defined humans as "featherless bipeds", Diogenes brought a plucked chicken into Plato's classroom, saying "Behold! I've brought you a man!". After the incident, Plato added "with broad flat nails" to his definition. 2. Plato believed that love between friends encouraged a higher level of consciousness and intimacy than physical love, and should be more highly regarded (hence “platonic” relationships). 3. 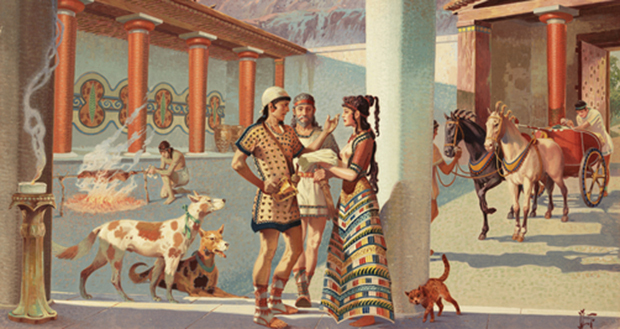 According to ancient Greek literature, when Odysseus arrived home after an absence of 20 years, disguised as a beggar, the only one to recognize him was his aged dog Argos, who wagged his tail at his master, and then died. 4. In 458 B.C., Aeschylus, an ancient Greek tragedian, was killed by a tortoise dropped by an eagle that had mistaken his bald head for a rock suitable for shattering the shell of the reptile. 5. The Ancient Greeks had a word, akrasia, to describe the lack of will that prevents us from doing something that we know is good for us. 7. Alexander the Great once asked Diogenes, a homeless Greek philosopher who lived in a barrel, if there was something he could do for him. Diogenes replied, "yes, get out of my sun". Alexander left saying, "If I wasn't Alexander, I'd like to be Diogenes," to which some records say Diogenes replied, "If i wasn't Diogenes, I'd like to be Diogenes". 8. Ancient Greek mathematician Hero of Alexandria invented the first vending machine which dispensed holy water after you put in a coin. He also invented the first steam engine and the first wind powered the machine, 2000 years before the industrial revolution. 9. One of the seven wonders of the world, the Temple of Artemis, was burned down by an arsonist who wished to be famous for his crime. Following his execution, the Ancient Greeks made it an offense subject to the death penalty to mention his name. 10. When Socrates was asked to propose his own punishment, he suggested a wage paid by the government and free dinners for the rest of his life. 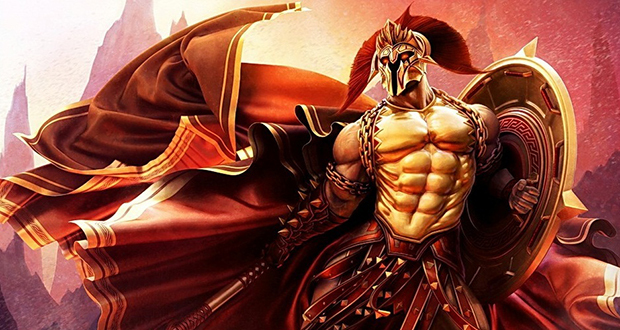 The Ancient Greeks didn't like Ares that much. He represented the violent and untamed parts of the war, as opposed to Athena, who was the Goddess of military strategy. 12. Young Greek hoplites (citizen soldiers) had to dress in heavy armor and run a foot race of 1,300 feet in the Olympics. This was done to develop the battlefield tactic of rushing to the Persian lines in rapid pace so as to counter their archers. 13. 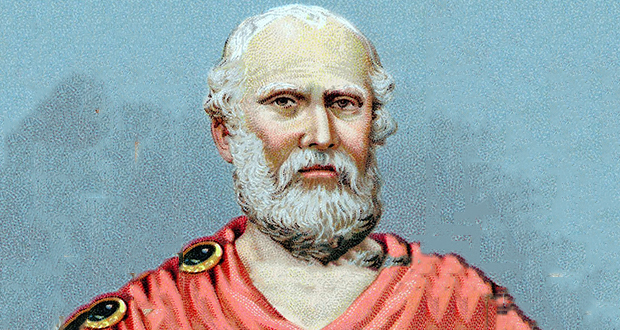 The Greek poet Hipponax was so good at insulting people that his victims sometimes killed themselves. 14. Draco was the Ancient Greek legislator who wrote the first code of law in Athens. Over time his laws were seen as increasingly harsh and punitive, which is why we say a law is "draconian" when the punishment is too extreme for the crime. 15. Both ancient Greek and Egyptian medicine recognized obesity as a medical disorder. Hippocrates wrote that "Corpulence is not only a disease itself but the harbinger of others". Wealthy Ancient Greeks sometimes sent their slaves to sit on the public toilets (made from slabs of marble) to warm it up "in anticipation of their arrival". 17. The ancient Greeks had a system called Ostracism where every citizen could vote to exile any politician for 10 years. 18. It has been theorized that the myth of the Cyclops came about when Greeks discovered dwarf elephant skulls and misinterpreted the trunk cavity as a single eye socket. 19. Pyrrhus of Epirus, an ancient Greek General, died while fighting an enemy soldier in the streets of Sparta. The soldier's mother, who was watching their battle from a rooftop, threw a tile that hit Pyrrhus in the head and paralyzed him, sealing his fate. 20. Putting candles on birthday cakes dates back to the Ancient Greeks, who often burned candles as offerings to their many Gods and Goddesses. It was their way to pay tribute to the Greek Moon Goddess, Artemis. Round cakes symbolized the moon. Candles were added to represent the reflected moonlight. There are no surviving copies of Socrates' actual work. Everything from him was written by Plato, with comments by Xenophon, Aristotle, and Aristophanes. 22. Plato believed not in democracy but rather a ruling elite that was best suited to make decisions for the community. 23. The ancient Greek astronomer Eratosthenes of Cyrene, proved that the earth was round in 240 B.C. and also came up with latitude/longitude and was able to calculate the earth's circumference which is off by less than 2% from the modern value of 40,041 km. 24. The Greek origin of the word "idiot" was used to mean someone who did not participate in politics and public affairs. 25. Every year in the Greek town of Vrontados, two rival church congregations perform a "Rocket War" by firing tens of thousands of home-made rockets across town, with the objective of hitting the bell tower of the church of the other side.